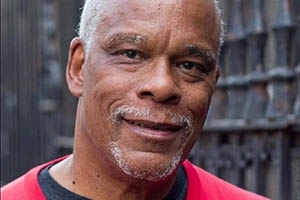 Stanley Nelson, an award-winning documentary filmmaker, visited American University School of Communication on Tuesday March 7 to discuss his work and experiences with race and racial identity. Nelson has over 20 years experience as a producer, director and documentary filmmaker. Many of his projects focus on race, identity and social issues. He is the Founder and President of, Half Nelson Productions, Inc and his most recent production, The Black Press: Soldiers Without Swords, focuses on the history of African American Newspapers. He has produced documentaries for PBS and the Smithsonian Institute and has television credits for Fox-TV and many PBS programs, one of which earned him an Emmy nomination. Other examples of Nelson’s films and documentaries include; Shattering the Silences, a film about the challenges minority faculty working in higher education face; Freedom Bags, a documentary about African American domestic workers in the early 20th century and their migration to the north; and Methadone: Curse or Cure, a documentary about the methadone maintenance program, a heroin addiction treatment program. Nelson graduated from Leonard Davis Film School at the City University of New York, taught film production at Howard University and was named a University Regents Lecturer at the University of California, San Diego. He also was a fellow of the American Film Institute, the New York Foundation for the Arts and the Washington D.C. Commission for the Arts. He is a Revson Fellow at Columbia University and was a member of the selection panel for the Fullbright fellowship in film. Stanley Nelson Event Video from American University School of Communication on Youtube.